I've been thinking about writing this post for a long while now. Instagram is something I check probably about ten times a day, it's such a fun and easy social media platform and I have been using it I saw iJustine introducing it back in like 2010! As the years have past Instagram has grown grown with millions of accounts now active it has become the place for people to not only share their scenery or what they are having for dinner but to show their talents, work and even photography skills! There's always a few accounts who's photos I am forever double-clicking and turning green with envy over (am I sad?) and I just LOVE finding new people to follow! I've seen other bloggers do posts like this before and I've found some great Instagrams through them so I thought it would be fun to finally share a few of my favs too! I first stumbled across Kristina when I found one of her pieces of art online (a Disney Princess one obvs) and went on a mission to hunt down the origin of it! This girl's talent is totally and utterly INSANE. I cannot get my head around how incredible each and every picture she creates is. If you like art, cartoons, disney, beauty.... you HAVE to follow this girl. Every photo will have you saying Wow. Real life friend alert! Yup, this is one of my best buddies and I bloody love her Instagram! Amber has amazing personal style and she's always rocking amazing outfits and make-up which make her stand out from the crowd. 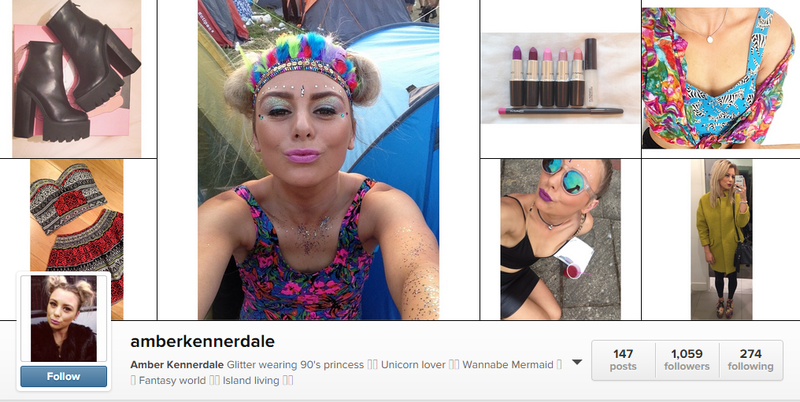 She's forever uploading photos of cute accessories alongside pretty whimsical things.... oh and unicorns! Go & follow her and tell her I sent you! Carly is a blogger and youtuber I first found through Liza P and I have been following her ever since! Carly is a personal trainer and her fitness blog and YT channel are so inspiring and motivating. Her Instagram has been amazing lately whilst she's been on her travels. I mean just look how beautiful it all looks! If you're looking for a fitness girly this is the one! Oh look it's a Pretty Little Liar! (Yes I am one of those girls who is seriously obsessed with that show!) I love all the cast and their instagrams, but Shay always has such a range of amazing images. This girl is beautiful and I always love looking through her fun foodie pics and gorgeous selfies - she always seems to be having fun! I mean it's pretty obviously why I follow this girl - how incredible is she! Her Instagram is full of these insane lip arts (how cute is Sid?!) aswell of loads of other make-up looks! Laura is super talented, go and have a look through her feed she has soooo many great posts! Blogger alert! Yes I love Andrea and her blog rosychicc and that love has defintley been trasfered over to the world of Instagram. 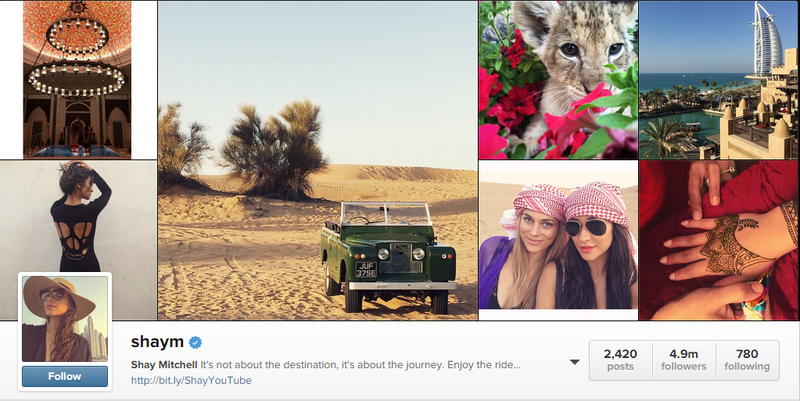 If you love her blog and photograhpy on there then you're going to adore her cute instagram! Seriously girl, you make everything look so pretty! I stumbled across this account recently after spotting a photo on the search page - it was one of those "based on people you follow" photos. This girl's make-up skills are insane and is one of the instagram accounts I sit and look through going green with envy. Her smokey eyes are flawless. Yes, yes it is another blogger! You may recognise Milly from Pearls & Poodles - a fabulously huge beauty, fashion and lifestyle blog which I always find a great read! 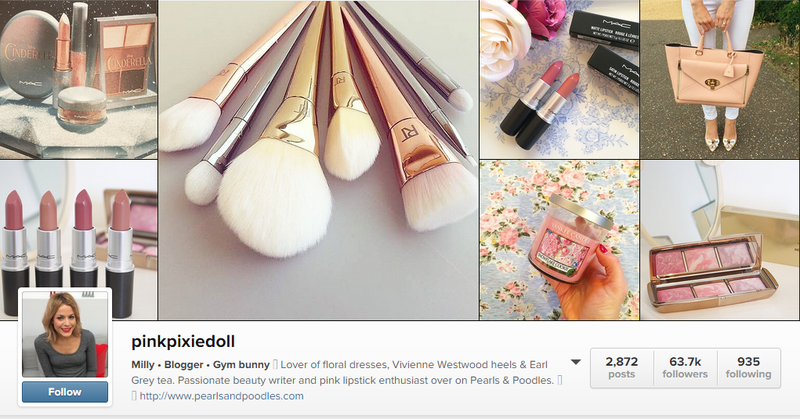 If you like pretty, pink, girly pictures then Milly is the person to follow! As you can see from above she shares more than just her blog photos - I want that pink bag! If you're a blog lover too and you aren't following Milly then go and do it now - you won't regret! Another art account now. This guy is super amazing at creating fantastic fashion creations! He an incredible artist and I LOVE all of his Disney inspired looks as well as his great eye for detail when drawing celebritys - if you love a bit of fashion, style and art check him out! 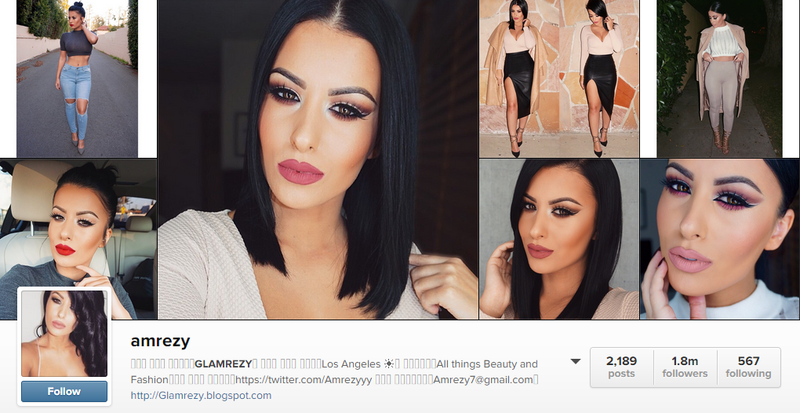 Last but not least, it's again another fab blogger and another super pretty account! If you love shabby chic, perfect homes and cute little dogs Becky will be right up your street. Her photos always look like they are straight out of a magazine, oh how I wish my home was all pretty and white too! Who are your favourite Instagrammers?! 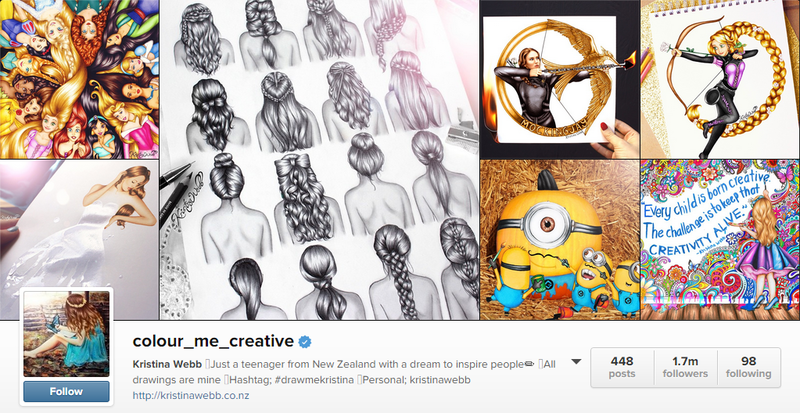 I love colour_me_creative, of course because she is very talented but also because her imagination is so creative! I love finding new people to follow on instagram too, i get a lot of my inspiration from the people i follow on there. Im definitely going to have to check out laurajenkinson lmfao! she looks like fun! Kristina & Hayden are two of my FAVORITE IG. I love their work and constantly stalking them with double taps! I literally LOL'ed so hard when I saw that lip art IG account! If there was emojis on laptops I would be certainly doing the face with crying laughter! Instagram is my favourite social media platform without a doubt! I have just headed straight onto Instagram to follow some of these amazing accounts. The photography is beautiful. 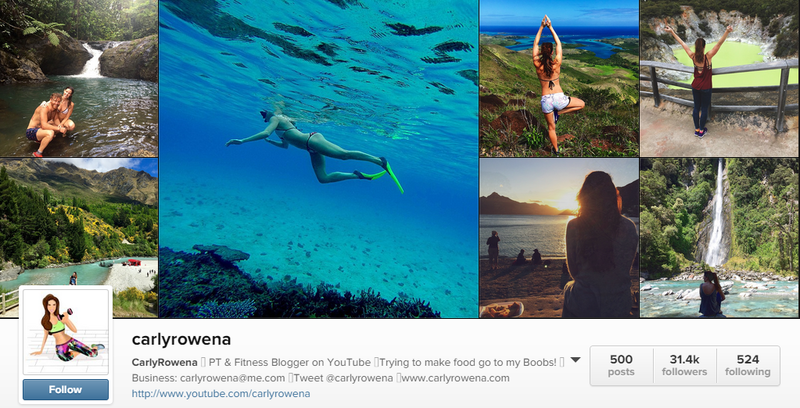 I love how inspirational carlyrowena's photos look, such dream destinations! We follow pretty much all the same blogs. I love Shay and PLL, I'm obsessed! aussure timberland pas cher cheap, chaussure timberland pas cher you lied to me. cheap eyes have tears in his eyes, with chaussure timberland pas cher despair, through her ​​eyes, cheap read her heartache. timberland femme pas cher cheap snatched the phone thrown on the ground next to stamp severely foot kick to pieces, see dumbfounded, the chaussure timberland pas cher phone just yet timberland homme pas cher dazzling moment became a pile of broken children, so good phon. But then Stuart Scott, the ESPN "SportsCenter" anchor who recently died of cancer, adidas factory outlet adopted "Protect this House" as one of his catchphrases. The slogan was heard on playgrounds and used by Maryland and NFL teams (including the Ravens) during warm-ups. The slogan's popularity helped propel Under Armour's rise. adidas store In 2014, it overtook Promote cheaper in combined apparel and footwear sales to become the second-biggest sports brand in the United States behind Nike. adidas originals online Under Armour's early ads "spoke to the authenticity of the brand," said Jonathan A.